When you look at the last 24 years of Internet browsing and web design, the client experience has evolved rapidly. I remember in December 1991 surfing the Internet and logging into the University of Bucharest computer system to check a local weather forecast. I was headed half-way around the world to adopt my daughter and was amazed at this new technology. 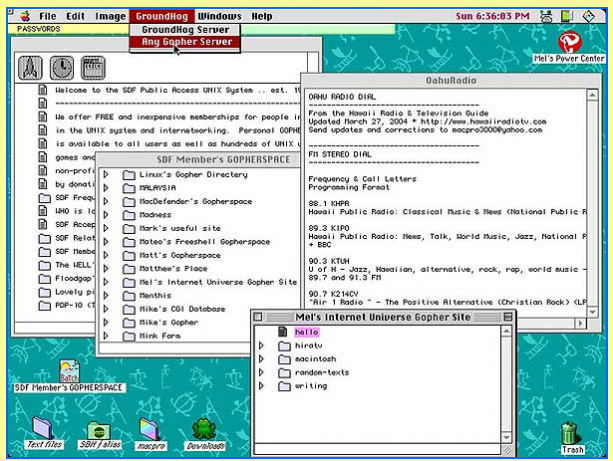 Back then, I was using a browser called Gopher, which layered window over window over window. Archaic by today’s standards, but mind blowing from someone who remembers the first fax machines! It all started with Gopher! Gopher was the first application for surfing the web in the 1900s. It organized text files and let you bring them from servers all over the world to your own computer. Gopher was not HTTP – Hypertext Transfer Protocol, but it was the first step towards the birth of HTTP. 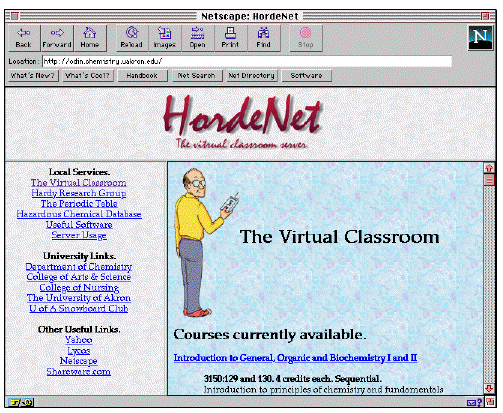 Gopher leads the way to the first graphic browser. 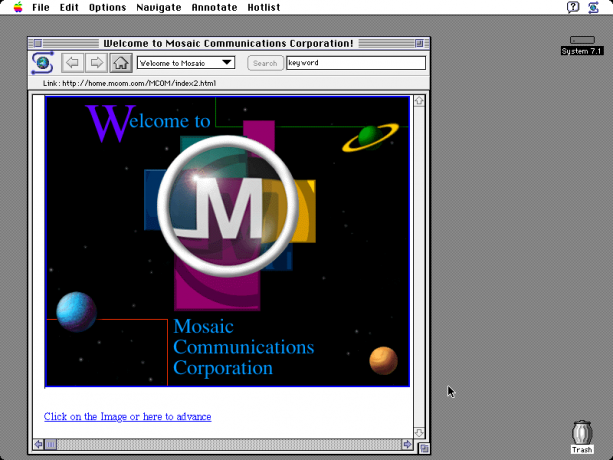 The development of Mosaic started in 1992 as well, and in the early years was only available for the Macintosh. Finally, in 1993, Mosaic was publicly released for use. It had the ability to display text and images together, on the same page and same window. In 1994, the commercial rights were assigned to Spyglass Inc., who in turn licensed this technology to others, including Microsoft for Internet Explorer. Development of Mosaic ceased in 1997, as Netscape and Microsoft brought large-scale effort to developing their own version of web browsers. 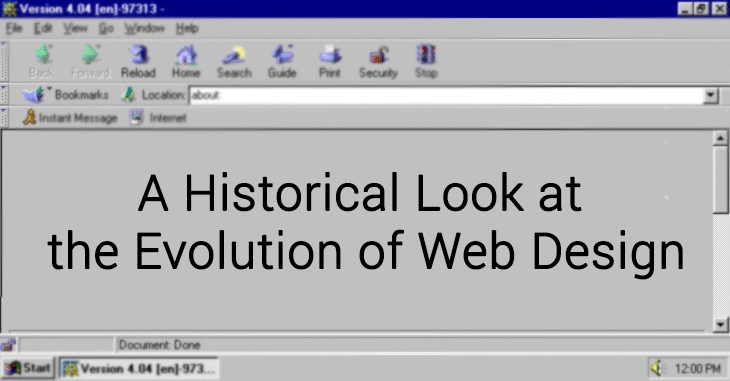 From 1997 through to present day, web browsers (Chrome, FireFox, Safari, Internet Explorer, Opera) and programming languages (HTML/PHP/.NET) have undergone many changes and continue to evolve. HTML Framesets lead to nested tables, which has led to DIV tags and HTML5. As these advancements in languages, browsers, and integration of databases evolve, so too has website design. Do you remember any of these designs? Design elements have changed as well. Design has gone from Flashy graphics and a lot of Photoshop effects (bevel and emboss) to a more simplistic “flat design”. The change is best represented with the Google Chrome logo. Many of today’s design focuses on creating a minimalistic feel for their views. In a way, these flat designs are easier on the eyes. The increase in high-speed Internet (bandwidth) and the use of wide screen monitors has also impacted web design. We can now get clean, flat designed websites that can be rich in visual images and yet remain crisp, clean and fast loading. The advances in web design have also allowed websites to be viewed from all sorts of devices without distorting the webpage. What Does the Future Hold in Web Design and Human Interaction? The one thing to be certain of is change. Today, web design is not only tied into advancements in technology but also, design style changes that are influenced by fashion, architecture, and external design trends. The days of building a website with a ‘set it and forget it’ mentality are through. Along with internet marketing (SEO, PPC, Social Media and so on), a website needs to be current in design. 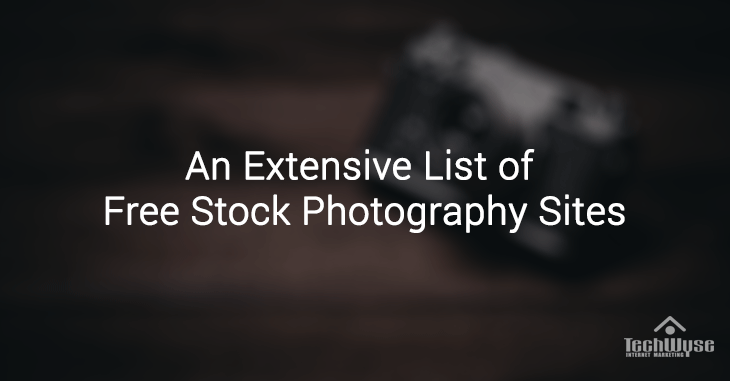 Your potential clients are surfing the web and looking at your competitors. 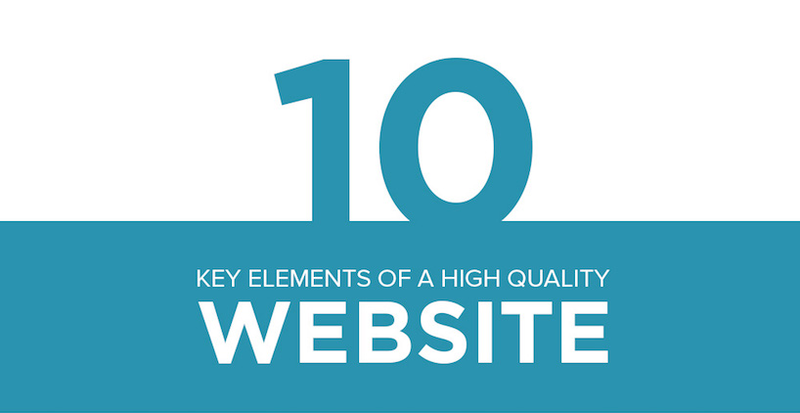 If their website looks ‘fresh’ and your website looks ‘dated’ you will lose out on potential clients. The last 24 years have been exciting in technological advancements and web design. I am looking forward to see what evolves in the next 24 years. You can be sure it’s going to be exciting. Great post Eddy, it’s very good to see the timeline and how much things change in web design, I’ve noticed a trend in keeping thing simple now. Cheers!